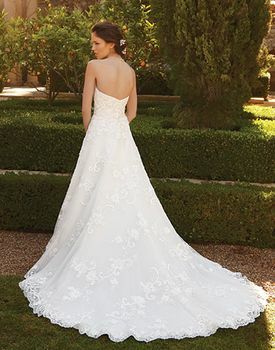 Beaded lace sewn onto Point d’Esprit over Silky Satin. 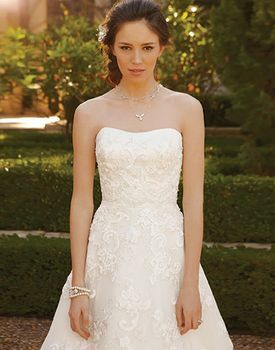 Soft sweetheart with beaded trim on neckline and full A-Line skirt. 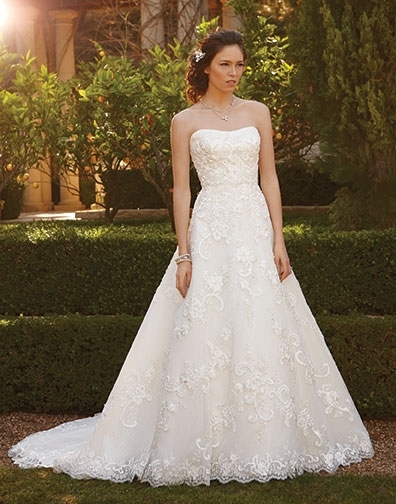 Fabric: Beaded Lace sewn onto Point d’Esprit over Silky Satin on the bodice.